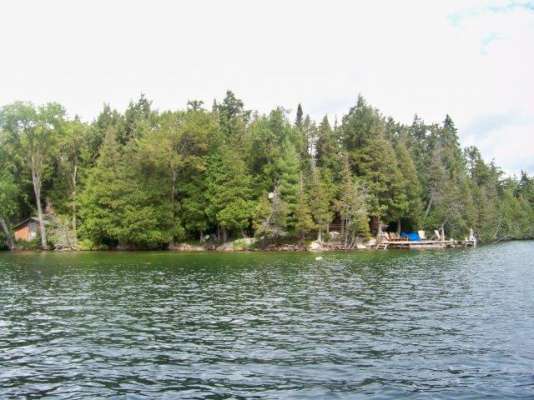 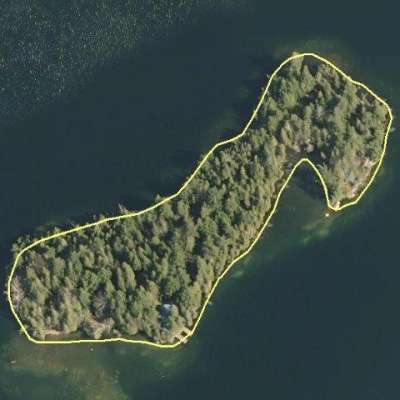 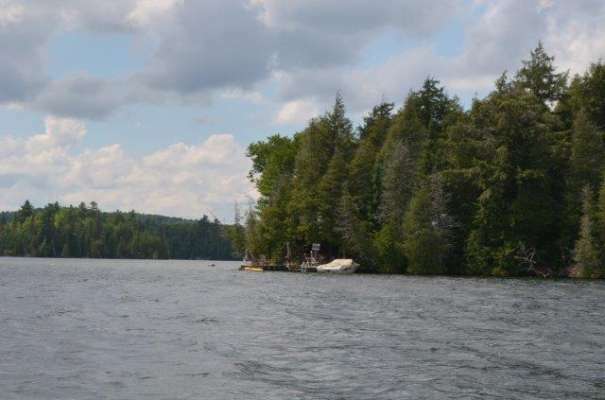 One of a kind private island located on Palmerston Lake. 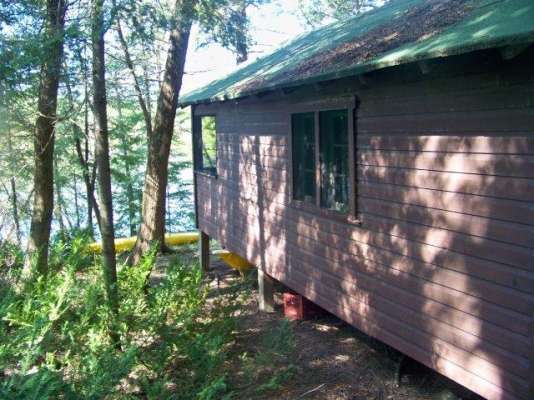 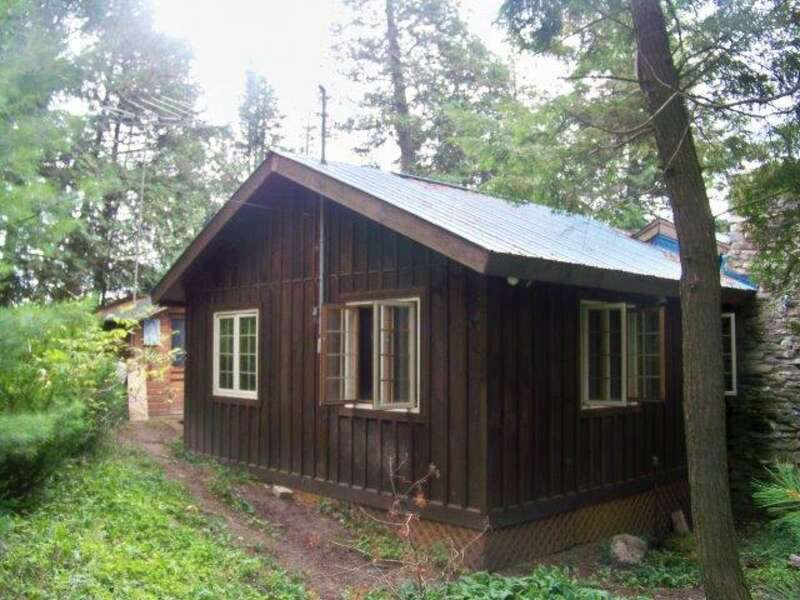 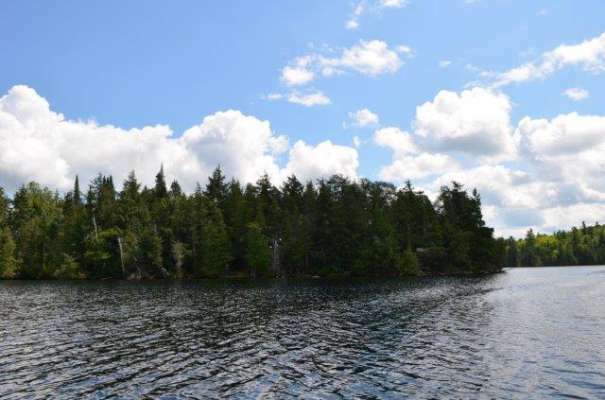 3 ½ acres, fully treed with mature pine, spruce, cedar and hemlock. 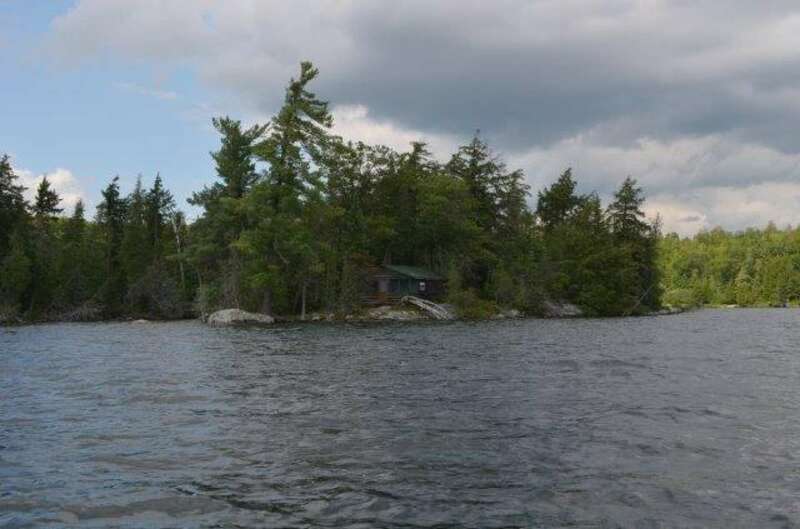 Barnes Island is one of the few islands that actually have Bell, Hydro and cell service, along with a modern septic that can accommodate a 4 bedroom house. 1 ½ hours from Ottawa, 1 ¼ hours from Kingston, 3 hours from Toronto. 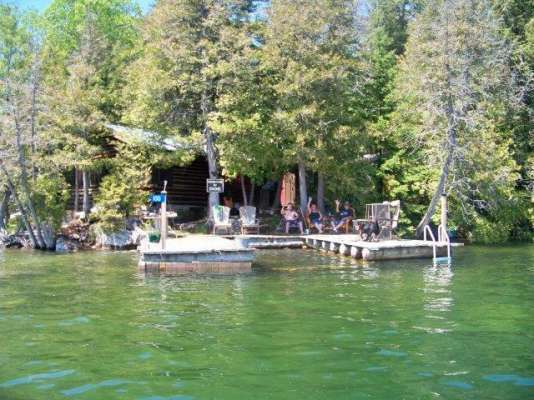 Includes your own main land parking lot (can accommodate 6 or more cars) and dock. 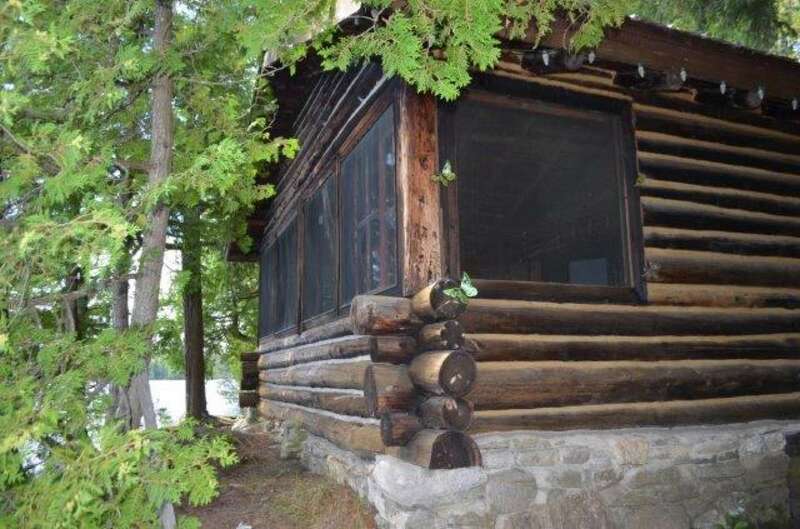 The main log cabin, 1000 sq ft., includes a bathroom, 2 bedrooms, galley kitchen, living room with stone fireplace & air tight wood stove. 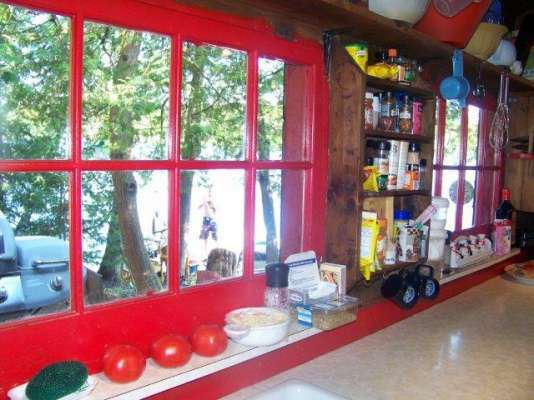 Front room overlooks the lake...only inches from the water. 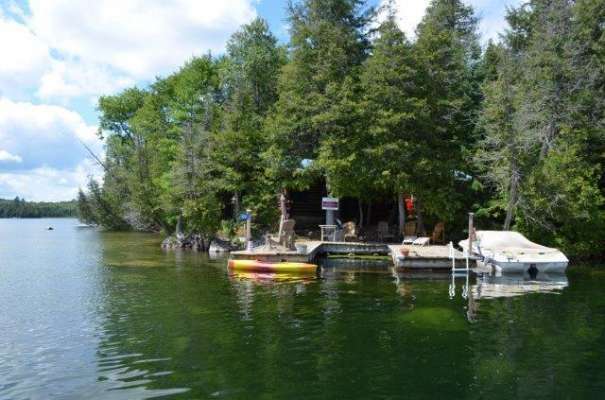 Large permanent dock that provides lots of room for your guests along with a boat slip. You can fish and swim right off the dock. 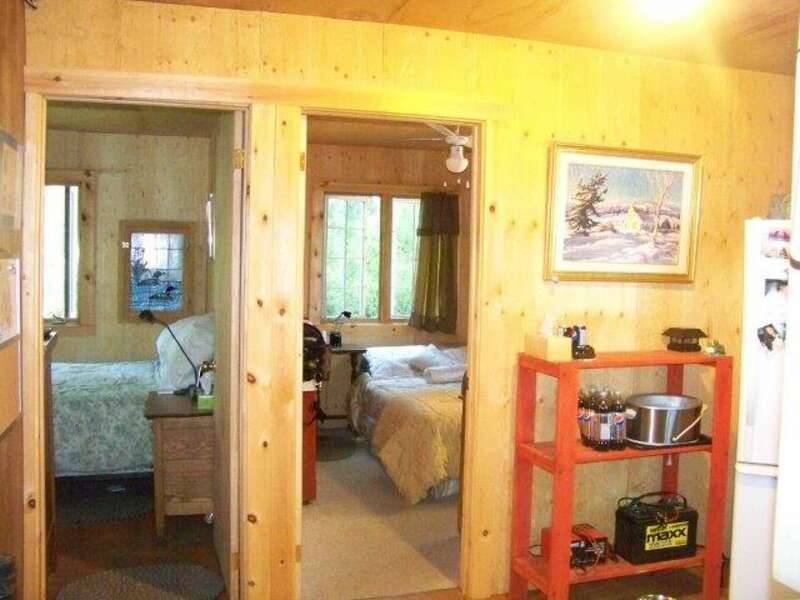 Main log cabin is fully equipped ...just bring your groceries! 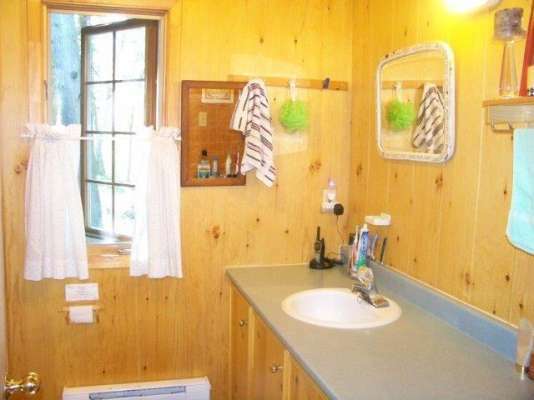 Your guests can bunk down in one of the three cabins (20 x 16). 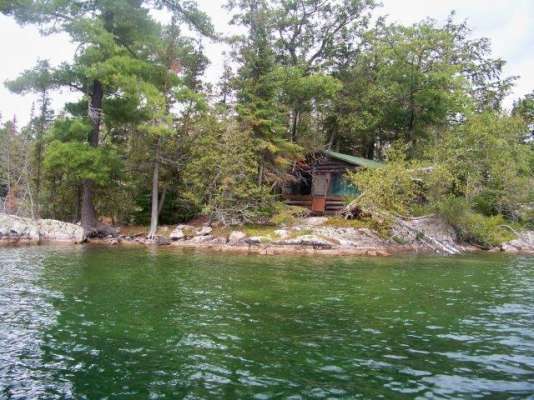 Please keep in mind that this island is zoned for commercial purposes if you wish to re-open this lodge. Also included: storage shed; sailboat; 14 foot boat with 8 hp motor; generator; 5000 watt, brand new, never used. Palmerston is one of the cleanest lakes in Ontario. 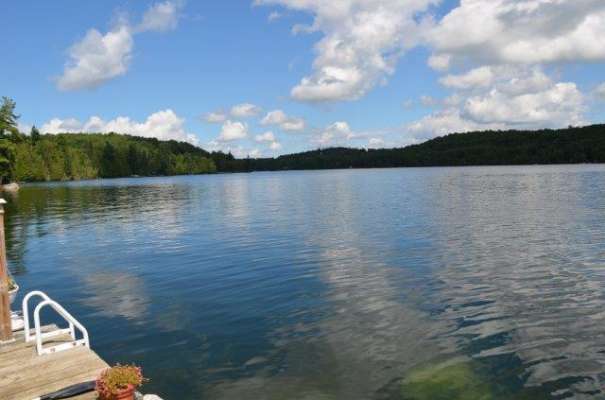 Your catch of the day could be mouth watering bass, or lake trout. 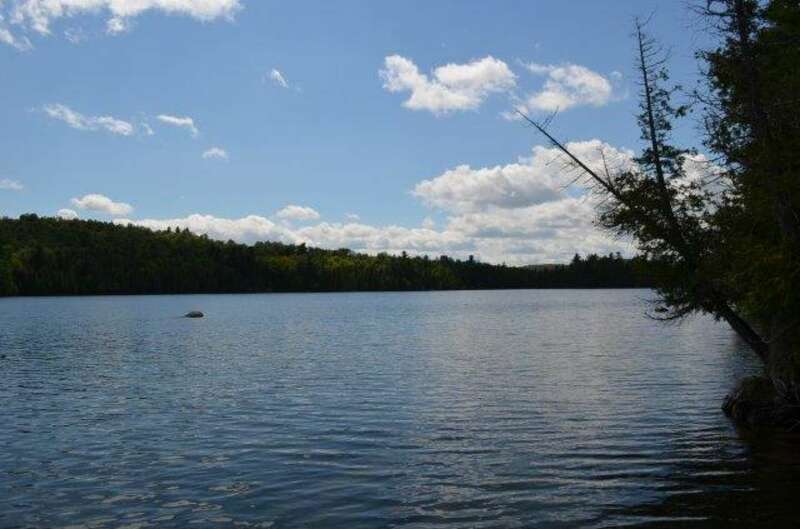 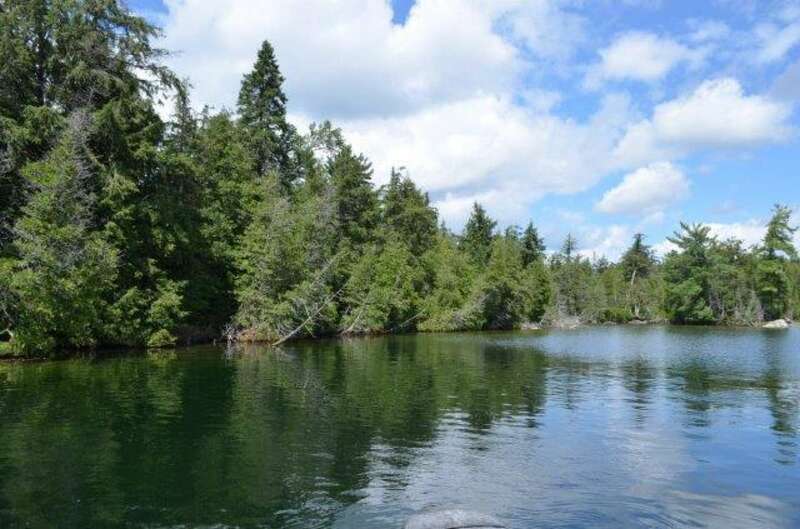 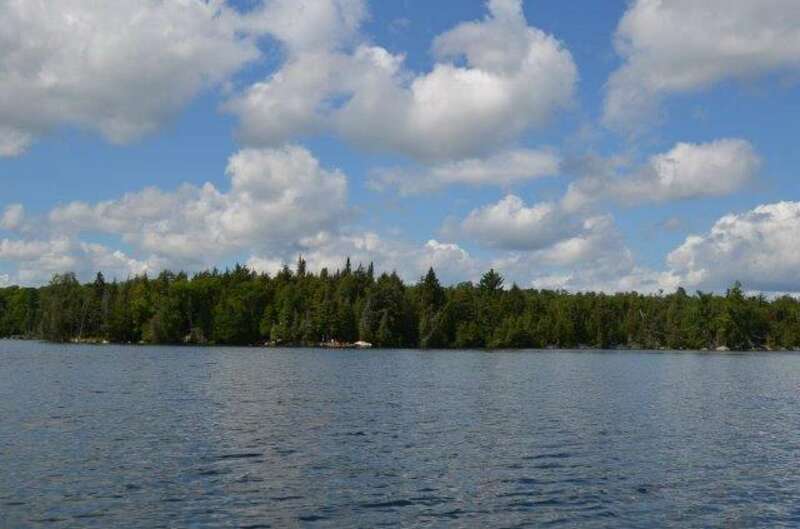 You can also explore the Crown land ideal for long hikes around this 5 mile lake. This secluded island promises total solitude except for the loons that serenade you for hours. 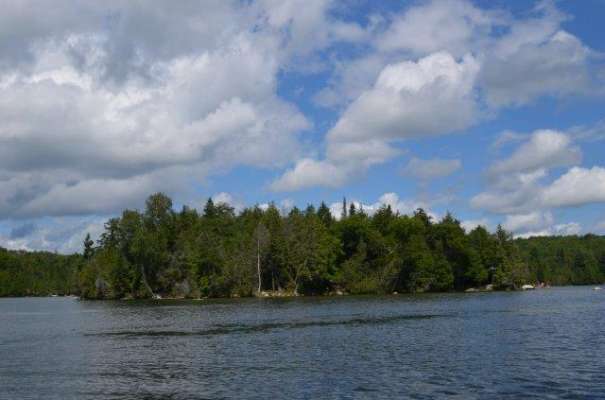 This island is minutes (20 min) from the LCBO, grocery store, bakery, restaurant, hardware store...etc. 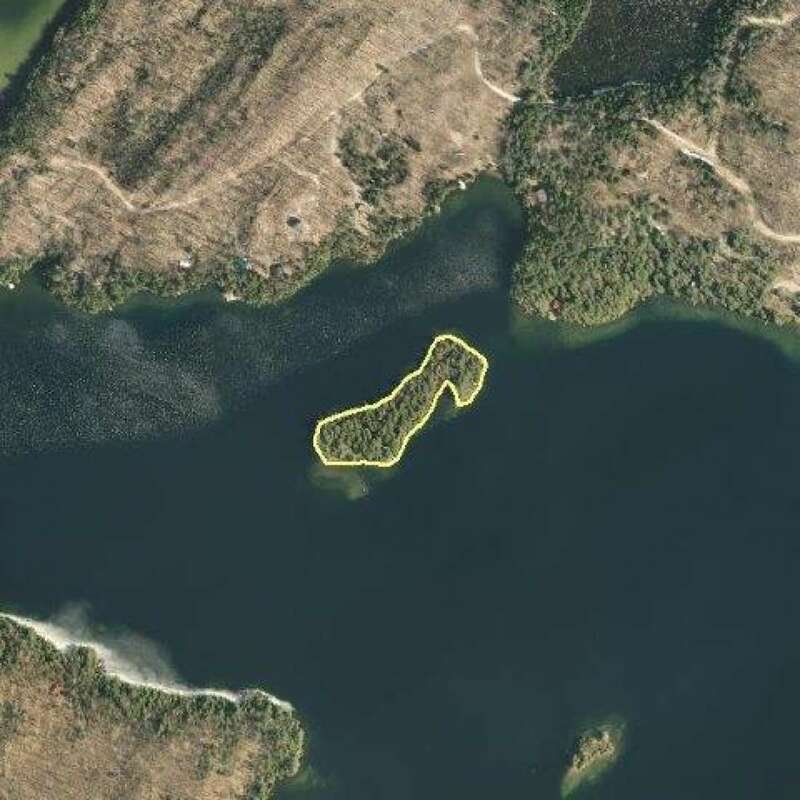 There is also a small airport located 30 minutes away.